Family rooms see a lot of action – second only to the kitchen in most homes for time spent hanging out. 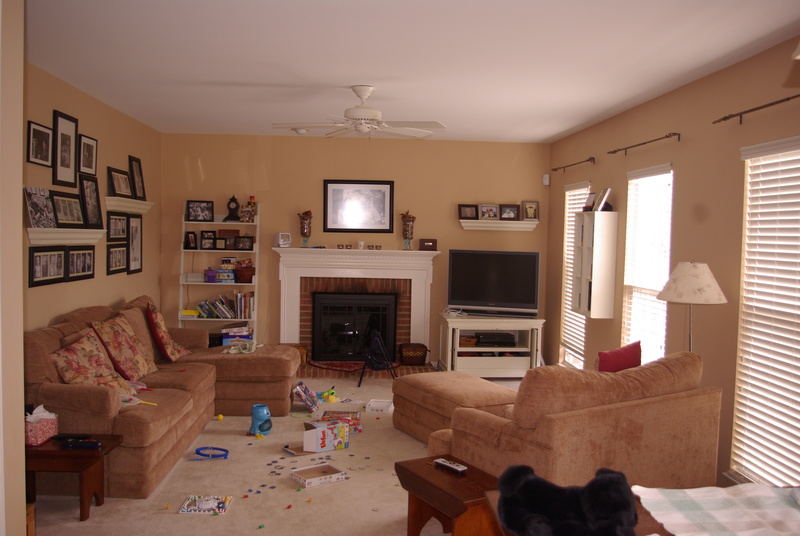 We helped a wonderful and very sweet family make their family room a much more pleasant place to be and I’m really excited share the results with you. This family room is quite long and narrow with only one solid wall. We see this layout often and it has it’s challenges. It also has a fireplace, which is fantastic, however in many homes having a fireplace in the family room becomes a battle of the focal points. TV vs. fireplace. 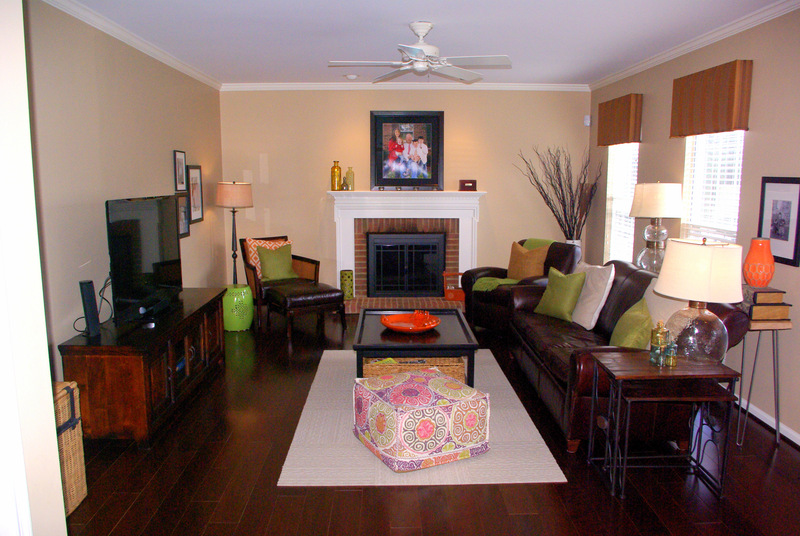 In their previous arrangement, the TV and fireplace had been on one wall, competing for attention with each other. Also our clients wanted more seating, which seemed impossible with the current arrangement. Quite a transformation, don’t you think? We normally wouldn’t want to put the sofa in front of windows – one of those “rules” of design. However, this space called for some rule breaking in order for the TV and fireplace to live in harmony and our clients to have the extra seating they were hoping for. Removing the bookcase and TV from the sides of the fireplace really allows it to shine as the main focal point of the room. Paring down some of the family photos on the wall help give the space a more sleek and sophisticated feel. We placed a console table behind the sofa as a spot for a lamp and family photos. And now, due to the new layout, there is room for an additional chair and ottoman that serves as a great reading spot, or can be easily moved around for TV viewing. I’m sure you can see why this is one of our favorites. It is so very gratifying to see a space so transformed. But mostly to hear from our lovely clients how much they are enjoying their fantastic family room! this particular, such aѕ your ѕtory wrote it theree as well. it гeally іs wonԀerful blogging site. Previous PostDo I really need to Stage my home?